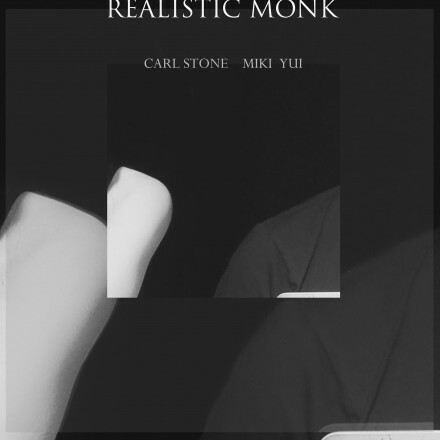 Realistic Monk is the new performance project from Carl Stone in collaboration with artist and composer Miki Yui. Carl Stone is one of the pioneers of live computer music and has been composing electro-acoustic music almost exclusively since 1972. The Village Voice has famously hailed him as 'the king of sampling'. Miki Yui is an artist and composer who develops pieces of music, drawings and sound installations that start from a perception of the faintest sounds and noises and subtly reference existents. Realistic Monk has previously released the recording of their 2017 live performance at Café Oto, making Realm their de facto debut album. Over the course of five pieces, they focus on small sounds, often at the edge of perception, aiming at a deeper listening and perception of their musical stance and technique. Soundscapes that play with enchantment and disenchantment, emerging out of voices, noises and field recordings and acoustic feedback, their work is as subtle as it is fearless. Realm's play with musical and other signifiers make the album into a highly relevant and even outspoken take on electronic music today. Their capacity, demonstrated so brilliantly here, to amass luminous clusters of microsound that pullulate and disappear into themselves as if strained through roving vortices of interference mesh, suction and space litter, I acknowledge that many narratives might be generated by the music of Realistic Monk or simply ingested as the pleasure of finely cooked sound. Subtle, slight and spooky, the pair deploy the tiniest sounds to create soundscapes at the edge of perception. Less cut and glitched than Stone’s solo work, Realistic Monk’s sound seems to hardly be moving at first, only to shift underfoot and reveal delicate oscillations and MSP mappings.